Warblade MK II is a new game in development by the very talented Edgar Vigdal. Warblade MK II is new chapter in the Deluxe Galaga / Warblade saga. 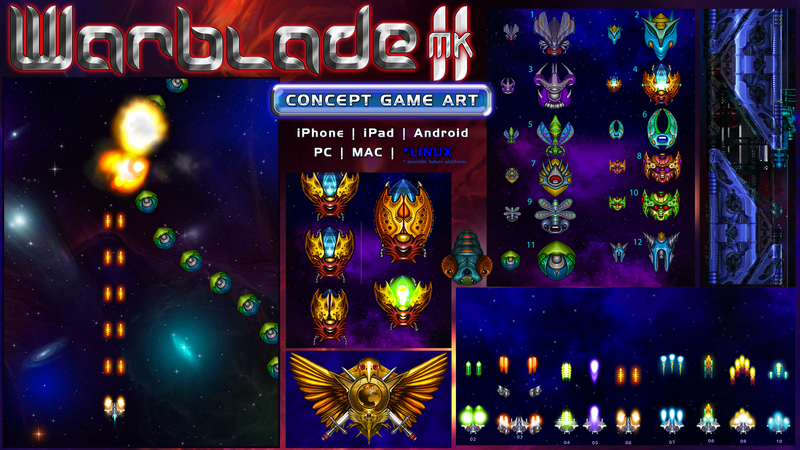 Warblade is a galaga type arcade shoot'em up game that has gotten quite popular on PC, Mac, iPhone and iPad. It started out as Deluxe Galaga on the Amiga in the late 80s, early 90s and it was one very popular shareware game back then. Join the mailing list so you can get the latest news on the Warblade MK II development.